If you believe that people were less eccentric in the past than they are today, think of their fashions and traditions. Maybe you’ll change your opinion. Bright Side has gathered a few things that our ancestors thought normal. We found out we’re not so odd after all. Europeans who lived in the Middle Ages practiced what we now call biphasic sleep. The first sleep started at sunset and lasted until about midnight; then people would wake up and stay awake for 2-3 hours. Some used that time to pray or read, and some spent it with their family or neighbors. Then came the time of the second sleep, which lasted until sunrise. A knocker-upper was a profession that existed from the mid-18th century until the 1950s. Their job was to wake people who had to get up early. They knocked on their clients’ windows with sticks or shot at them with peashooters. 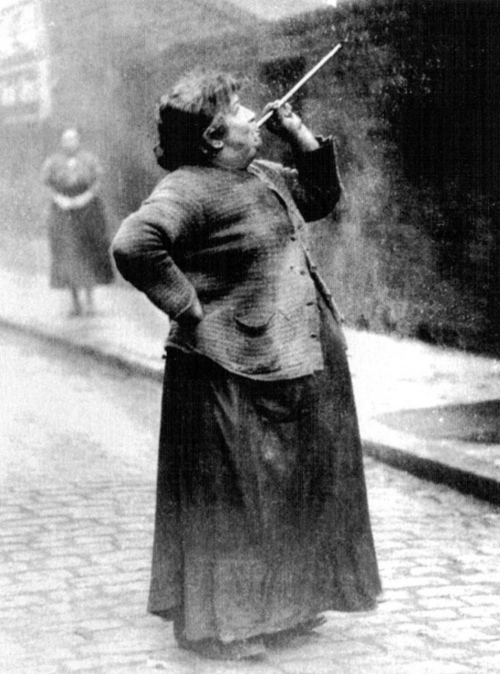 It’s unclear who woke up the knocker-uppers, but there’s a version that they didn’t go to bed before work at all. From the 16th century and until around 1920, it was customary for little boys up until a certain age (4-8 years) to wear dresses. The main reason was perhaps the high cost of clothing: dresses were easier to make "to grow into." The tradition didn’t bypass even royal families: this photo depicts Alexei, the son of the Russian Emperor Nicholas II, in a dress similar to those worn by his sisters. Chopines, also known as zoccoli or pianelle, are a kind of platform shoe up to 50 cm (20 in) high. 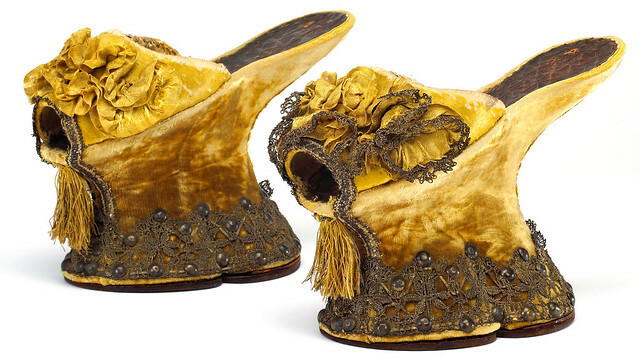 Small wonder that those who wore them required the help of servants in order not to literally fall victim to fashion. Admittedly, chopines were worn not just out of style consciousness but also so as not to stain the wearer’s clothes in street mud. This treatment mode was popular for 2,000 years up until the early 20th century. Bloodletting was practiced to treat any ailment and often did more harm than good, weakening the patient even further. In some medieval countries, people believed that water only brought illness to man, and lice were called “the pearls of God.“ These beliefs were shared even by monarchs. Isabella I of Castille was proud of the fact that she only washed twice in her life: at birth and before her wedding. According to one testimony, a cavalier once made a comment upon her dirty hands and nails, to which the Queen replied, ”Oh, if only you could see my feet!" Another custom that today seems very bizarre. However, in the 19th century, it was a way to preserve the memory of deceased loved ones. As a rule, the dead bodies were fashioned to appear alive in the photograph: they were seated in natural poses, and eyes were drawn on their closed eyelids, as in the image above. In the early 20th century, radiation was perceived exclusively as a positive phenomenon, which swindlers didn’t fail to take advantage of: you could buy cosmetics, food, and drinks enriched with radium and thorium, radioactive souvenirs, and even devices for saturating water with radioactive elements. Sadly, there were casualties. Athlete Eben Byers drank huge doses of the radium-based medicine Radithor, which led to his death. The Wall Street Journal reacted to this sad incident with a headline reading "The Radium Water Worked Fine Until His Jaw Came Off." Surprisingly, 100 years ago, heroin was considered a harmless alternative to morphine and was sold in pharmacies as a cough medicine. It was even recommended for children. It was later discovered that heroin turns into morphine in the liver, and in 1924 its use was prohibited. In Germany, however, it was only outlawed in 1971. As recently as 50 or 60 years ago, smoking wasn’t regarded as that bad a habit. People didn’t deny themselves this dubious pleasure even during flights, regardless of the presence of other passengers. Today smoking in planes is prohibited, but in a number of countries (such as in Iran) the ban hasn’t been implemented. Unlike us, people in the 18th and 19th centuries couldn’t just go into the water on the beach. They had to use bathing machines: special carts that looked like beach huts. The carts were driven into the water so that bathers could swim without any prying eyes watching them. Furthermore, women’s bathing machines were set some distance away from men’s. The list of things people used before the invention of toilet paper could go on and on. It includes plant leaves, corn cobs, coconut shells, sheep wool and cloth (for those who could afford them), sponge on a stick, or just water. But the Ancient Greeks surprised us the most: for certain hygienic purposes, they used rocks, pebbles, or shards of pottery.